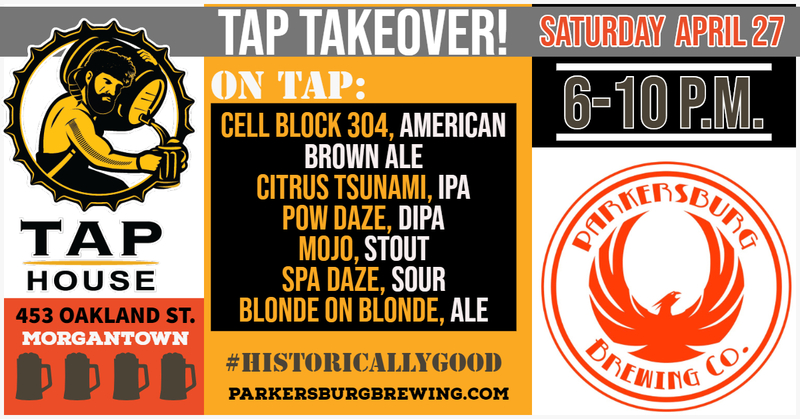 Tap Takeover - Parkersburg Brewing Co.
We will be making the trek to your neck of the woods Saturday, April 27 for an epic Tap Takeover at Mountaineer Tap House. 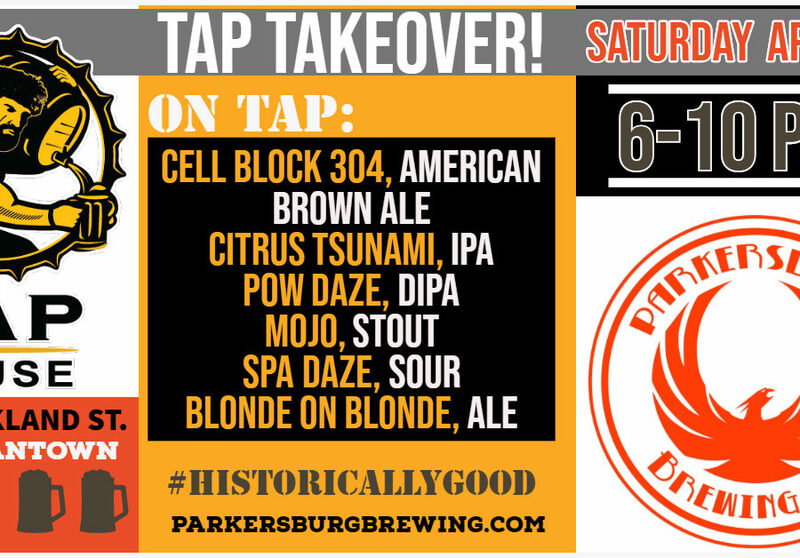 We will be serving SIX of our Award Winning Brews including the Cell Block 304 and Spa Daze, our Raspberry infused traditional sour. Do not miss out on this chance!